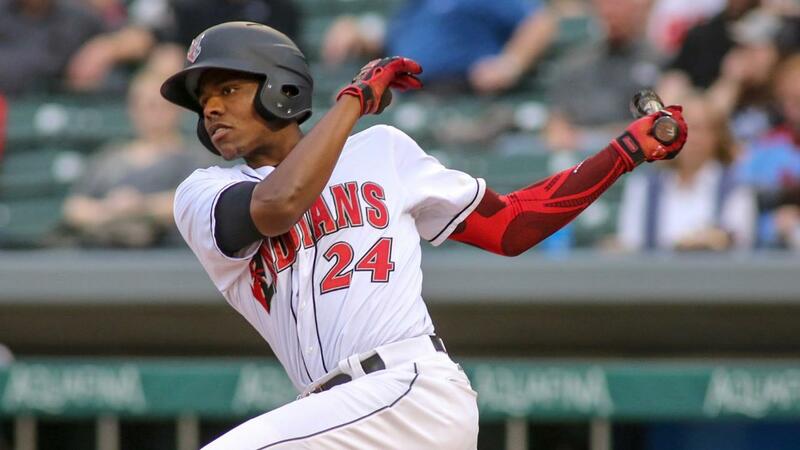 INDIANAPOLIS - Ke'Bryan Hayes and Christian Kelley each slugged their first home runs, Bryan Reynolds belted his third and the Indians powered past Charlotte with a 7-3 win on Opening Night at Victory Field. The triumph was the 9,000th regular-season win for Indy in the 118-year history of the franchise. For a sixth time in seven games, Indianapolis (4-3) scored the game's first run and never trailed against the Knights (6-2), who entered with the International League's best record. Hayes cranked his homer off Jordan Guerrero onto the left-field berm in the first and after the visitors evened the score at 1-1 in the second, Kelley smacked a 401-foot two-run blast to push Indy back in front. Later in the second, Guerrero walked Cole Tucker with two away, and Hayes made the southpaw pay with a ringing double down the left-field line to make it 4-1. Charlotte chipped away again in its next trip to the plate, scoring twice off Mitch Keller in the third. Matt Skole lofted a solo homer out to left and Preston Tucker drove in Seby Zavala with a two-out single. Keller kept the Knights in check in the fourth - his final inning of work - and the Indians offense tacked on single runs in the fourth, fifth and eighth en route to victory. Hayes collected his third extra-base hit of the night with another run-scoring double, Jake Elmore hit a sacrifice fly in the fifth and Reynolds capped the scoring with a two-out solo shot to right in Indy's last at-bat. Clay Holmes (W, 1-0) was spectacular for the Tribe in relief of Keller. He limited the Knights to two hits and one walk with two strikeouts in 3.0 innings pitched. Brandon Maurer and Michael Feliz combined for the final six outs to seal the win. Trayvon Robinson had a game-high four hits with two runs scored and a stolen base. The four-hit game was the seventh of his career and first since June 18, 2014 with Triple-A Albuquerque. Guerrero (L, 0-1) surrendered six runs (five earned) on 10 hits in 4.1 innings pitched. Indianapolis and Charlotte continue their four-game series on Friday night at 7:15 p.m. Right-hander Alex McRae (0-1, 7.71) will oppose Knights righty Jordan Stephens (0-1, 4.50).